It has been a long winter. Why not take advantage of this warm weather in the forecast, have a night out, and enjoy some tasty BBQ aboard our historic 1950’s dining cars? Tickets are $40 per person and include a 2+ hour ride, and your choice of Beef Brisket, Pulled Pork, Smoked Chicken, or a Grilled Portobello Mushroom. 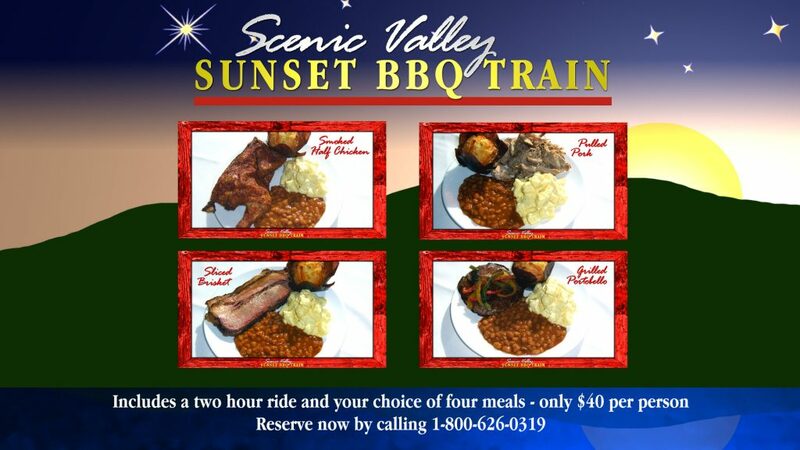 Make your reservations at www.bsvrr.com, or by calling 1-800-626-0319. All aboard!